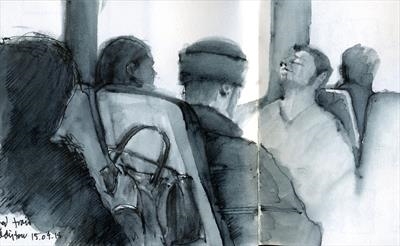 Fellow passengers are among my favourite sketchbook subjects. This is one of eight illustrations in 'Drawing at the Speed of Life', an eight-page feature about my location drawings published in the Summer 2016 issue of Drawing magazine in the USA. The author is British-American artist and writer John A Parks.